Several years ago as we began working very closely with John, we were moved by his dedication to his work, and his commitment to work together with others in meeting the needs of the children across the State of Tennessee. John worked with us to help us host the Wait No More conference. His great work in building relationships with the faith-based community, and the Middle Tennessee Orphan Alliance (MTOA), lead us to give him our first ever "Hero in the Faith" award; an award based on the courageous action of one of King David's mighty men, Benaiah, who went into a pit and slew a lion on a snowy day. What was in the pit that Ben would fight a lion there by himself when it is cold and slippery? It had to be something or someone of great value. For John, it was clear that at-risk children and families were the target of his courageous actions. John was a regular collaborator in our work with MTOA and it was his request that we consider forming a nonprofit to be the bridge between a faith-based communities across Tennessee and the Department of Children's Services. 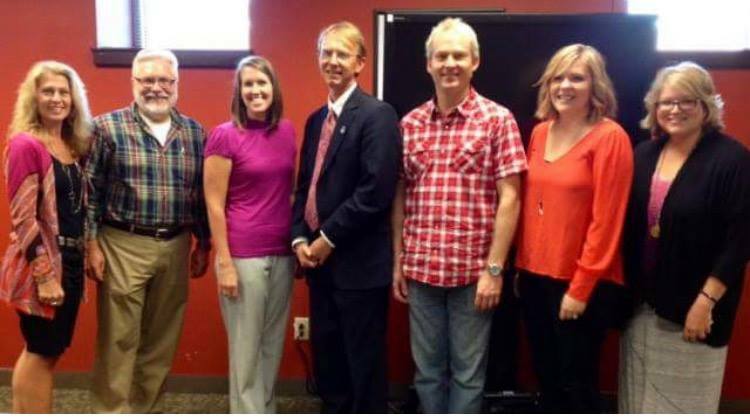 We accepted that request and came together to form the Tennessee Alliance for Kids (TAK). Courageous in yet another pit, John battled cancer valiantly, never stoping to care for Tennessee's children. He leaves a beautiful legacy which includes his wife and two small children, and countless colleagues, families and children in foster care across the State of Tennessee. Godspeed, our constant advocate, ally, and mighty friend.